Sony may have given Dan Loeb a headache – and an opportunity. The Japanese group’s quarterly loss knocked almost 12 percent off its market value by midday on Nov. 1 and raised questions about the company’s revival. Poor results from Sony’s entertainment and electronics arms suggest there’s limited upside from the spinoff that activist investor Loeb proposed earlier this year. However, it may give him a chance to push for more radical restructuring. Five of Sony’s nine main divisions reported an operating loss for the three months to September. Only the music unit and the company’s part-owned financial services arm stood out. Though the smartphone business reported a 39 percent jump in revenue, this was flattered by translating foreign sales into weaker yen. Sony also took a red pen to its profit forecasts: it now expects earnings of just 30 billion yen ($306 million) for the twelve months to next March. In August, it thought the full-year figure would be 50 billion yen. The warning went down badly with investors, who sent the shares down to their lowest level since early May – just before Loeb disclosed his 6 percent stake, which he raised to almost 7 percent a month later. Sony has politely rebuffed the investor’s proposal for a partial spinoff of the entertainment business. And there’s little in the results to suggest that the move would unlock much hidden value. Though Sony lost money making movies in the quarter, it also lost money making televisions. However, the latest setback will put pressure on Kazuo Hirai, Sony’s chief executive, to contemplate more radical changes. One of Loeb’s criticisms is that the Japanese company’s conglomerate structure has allowed divisions to underperform their rivals without being properly held to account. Spurred on by the weak yen and enthusiasm about Japan’s economic revival, investors have given Sony the benefit of the doubt this year. Even after the latest drop, its shares are up more than 70 per cent since January, and trade on almost 60 times the company’s reduced full-year earnings forecast. Meeting those reduced expectations requires Sony to improve. Future proposals from Loeb should receive more serious consideration. Sony on Oct. 31 warned that it would fail to reach previous full-year profit targets after sliding to a net loss of 19.3 billion yen ($197 million) in the three months to the end of September. The Japanese group reported a quarterly loss in its cameras, gaming, television and movie divisions. The bright spots were its music division and its partly-owned financial services arm, which benefited from Japan’s booming stock market. Sony’s smartphones division reported a 39 percent increase in revenue over the same period of last year, though it still made a small loss. Revenue for the quarter was 1.8 trillion yen, up 10.6 percent on the same period of 2012. But operating income fell 51 percent year-on-year to 14.8 billion yen. Sony’s quarterly net loss widened to 19.3 billion yen, from 15.5 billion yen in the same quarter of 2012. Sony lowered its full-year revenue forecast to 7.7 trillion yen, from the 7.9 trillion yen forecast it published in August. The company expects pre-tax income of 180 billion yen, down from an earlier forecast of 210 billion yen, and net income of 30 billion yen, against a previous expectation of 50 billion yen. 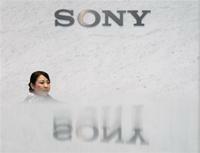 By early midday on Nov. 1 Sony shares were trading at 1659 yen, down 11.6 percent.